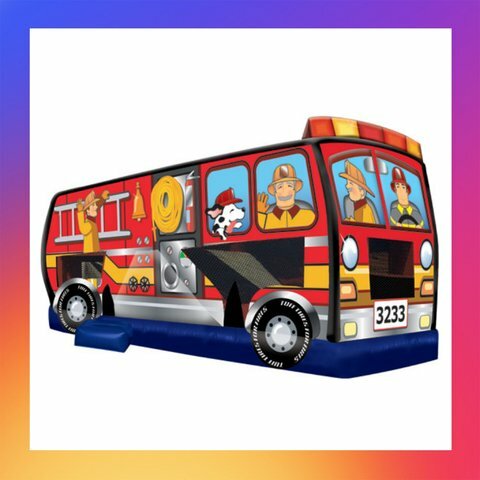 Actual Size: 30' X 13'4" X 11'10"
This very detailed Fire Truck 3-in1 combo jumper will impress and inspire all future firemen at your party, the future firemen can slide in through the cab as they race to fight the blaze. Fantastic artwork decorates the outside with firemen waving and carrying the ladder, "lights" on top and even the trusty firehouse dog along for the ride. The jumper offers a huge center slide and a ample jumping area for hours of entertainment.